Keystone GPS is available as an integrated part of our Keystone Dispatch products or as a stand-alone system for use with other products. Keystone GPS is optimal for construction materials producers that require an easy to use GPS system that improves delivery efficiency, enhances customer service, and directly impacts their bottom line. 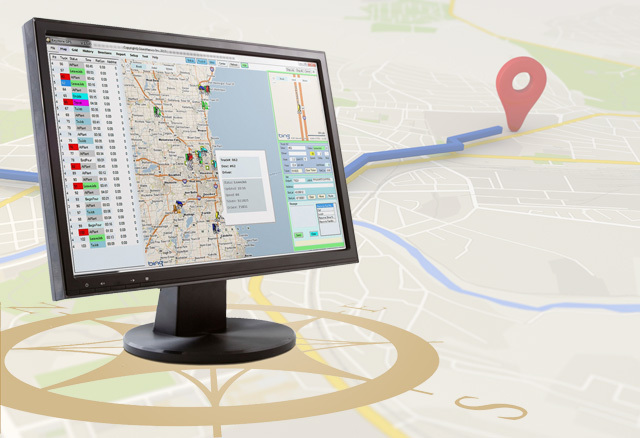 The system updates your vehicle location at user defined intervals and relays vehicle number, heading, speed, and location by longitude & latitude directly to your screen. Designed specifically for construction materials producers. Locating vehicles is easy: they are displayed clearly on the map! Updates your vehicle location and relays vehicle number, heading, speed, and location by longitude and latitude to your screen. Identifies the amount of time needed to complete a job, helps identify training and motivational opportunities, eliminates side trips and non-job related stops. Manages customer expectation and provides proof of service/vehicle location, helps quickly resolve time-on-job billing disputes. Integrates seamlessly with Keystone Dispatch software. Map Screen contains up to the minute order status information from dispatch. Shares common status control logic to improve the handling of load status changes. GPS data is linked to ticket information all the way though the billing process in accounting. Keystone GPS can interface with cellular phones, digital radio systems such as MOTOTRBO Professional Digital Two-Way Radio Systems, GPS modems, and more!